Studio Yat is a London based studio for architecture, planning and design. Known for our distinctive, innovative and well-crafted designs, we are architects who believe in simplicity, integrity and good design for all. Established in 2012, our growing list of projects includes private one-off houses, residential developments, offices, galleries and schools in the UK, Germany, Spain, Hong Kong and the US. We work on projects of all sizes – as architects, we appreciate the unique opportunities and challenges of each project. Our activities cover all architectural services from feasibility study, concept design, planning application all the way through to technical drawings, construction and handover. Architecture and interior should provide a cohesive and delightful experience as a whole. Starting with a thorough understanding of a client’s aspirations and how the spaces will be used, we create well-crafted and refined interiors – from the quality of light, the selection of materials, the colour palette to the choices of fixtures, furnishings and artworks. We help our clients make spaces work better for them. In-depth spatial and organisational analyses of how people use their spaces could often unlock hidden potentials. We develop a range of tailored solutions from strategic brief development to post-occupancy surveys to help users enjoy the full potential of their spaces. With experience in real estate investment and development, we provide independent or integrated services to clients throughout the lifecycle of a project – these include initial investment appraisal, due diligence, development management, project management, contract administration and contract management. We use the latest computer technology to design with our clients. This makes the design process intuitive and construction more efficient. We haven’t lost touch with the traditional skills of architects – we love to draw, sketch, build models and get our hands on building materials. We’ll also listen carefully and communicate proactively, and your cost and time constraints will be taken very seriously. We enjoy teamwork and sharing our knowledge. As a young architecture studio, we’re friendly, energetic and approachable – we like to engage with the local communities, develop new ideas as a team and work with craftsmen to refine building details. Every project is important to us. You’ll get a bespoke solution designed to achieve the highest quality and tailored to functional and contextual requirements. As architects, we’re conscious of our environmental and social responsibilities, so we’ll make sure what comes out of our drawing board is efficient, integrated and sustainable. Yat established Studio Yat in 2012 after working with some of the brightest minds in architecture including Norman Foster, one of the most esteemed architects in the world, Peter Eisenman, a world-renowned architectural theorist, and Léon Krier, a highly influential neo-traditional architect and planner. In this creative environment, he produced a track record of award-winning designs, receiving recognitions such as the RIBA Award and the RIBA International Award from the Royal Institute of British Architects and the LABC Building Excellence Award. With more than 15 years of professional experience, he is a registered architect in the UK, an RIBA Design Review panellist and also the recipient of the AIA Scholastic Award and the Gene Lewis Prize for excellence in architecture. Born in Hong Kong, Yat studied architecture at the University of Hong Kong and received a Master of Architecture degree from Yale University in the US. 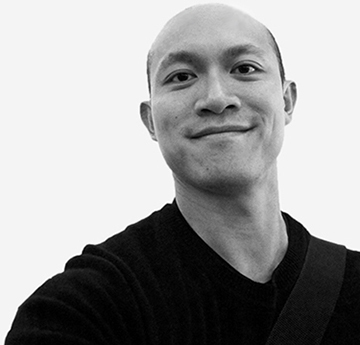 Having lived in Hong Kong, New York, Paris and London, he has developed a unique perspective in architecture, a diverse cultural awareness and the ability to connect with different communities. Based in Shoreditch, London, Yat is active in community affairs too. He sits on the management board of the London Spikers Volleyball Club with more than 150 active members, helping local schools develop their sports infrastructure. He also competes in the London Volleyball Premiership and the England National Volleyball League. In 2012, Yat received a Master of Business Administration degree from London Business School, one of the top business schools in the world. His experience in the real estate industry provides insights into finance, project management and property development – these give him an all-round understanding of the development process.